Midwest Tape offers Electronic Ordering and Invoicing as an option with the majority of Integrated Library Systems (ILS). We support both EDIFACT and X12 formats for EDI (Electronic Data Interchange). 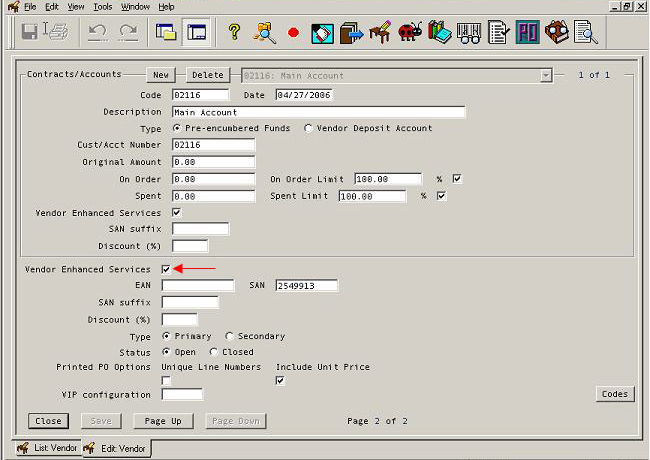 The option to place orders via EDI is most advantageous to libraries who wish to receive EDI invoices. Only items ordered electronically can be invoiced electronically. Electronic ordering and invoicing are available free of charge. Once we have your information, we’ll complete your free and simple setup in just a matter of days. 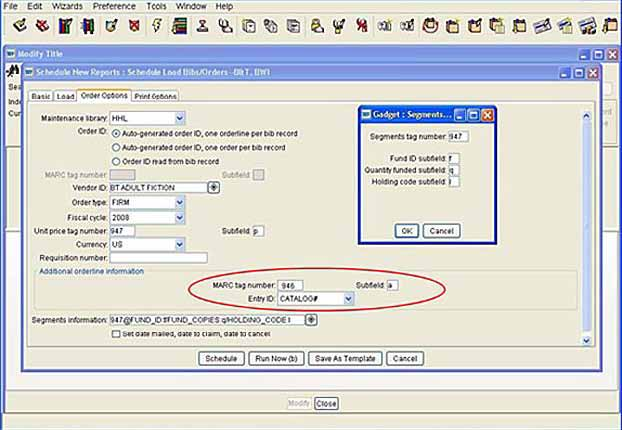 Once the order exists in your ILS, you can then send it to us using EDI. The order transmits electronically via FTP (File Transfer Protocol) and arrives on the Midwest Tape server, which imports it into our system as an order. Once we successfully import your EDI order into our system, you will receive an order acknowledgment verifying your ordered titles. When you receive this acknowledgment, go back to our website and delete the cart. This eliminates duplicate ordering. Please note: deleted carts are still available for viewing on our website; they are simply not available for reordering. Once received in our system, we’ll handle your order as usual, applying any additional services, such as processing, that you have designated. We will invoice your items as they ship. You will still receive a paper invoice in your package; if you have requested electronic invoicing, you will also receive an electronic invoice via FTP shortly after shipping. To set up EDI ordering and/or invoicing, email Marin Lindsay (MLindsay@midwesttapes.com) with your contact and ILS information. Once setup is complete, Kelley will email your FTP folder, login, password, and the SAN (Standard Address Number) needed to transmit your orders. Once you submit your first order, please give Kelley a call at (800) 875-2785 to verify that we received the order properly. Once we’ve verified the process, you can place your orders electronically going forward. Submitting carts via our website is the easiest, most accurate way to place your orders. Due to restrictions within individual Integrated Library Systems regarding the transfer of information, we’ll need to make some adjustments in order to have the best results with EDI ordering. 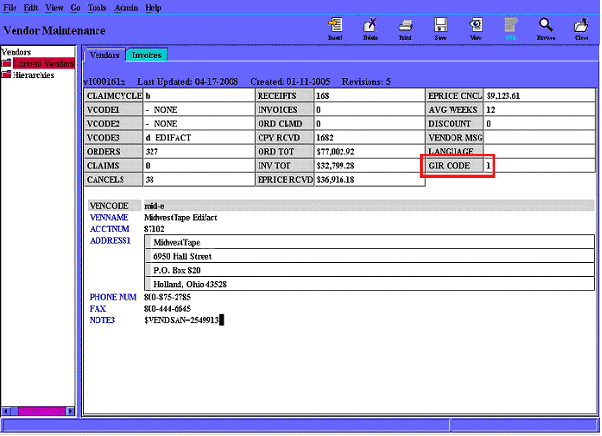 SirsiDynix Classic, Unicorn, and Symphony systems specify that every item ordered must have an ISBN. Typically, less than 50% of DVD titles have an ISBN, and music CDs rarely possess one. To get around this issue, if you use 9xx order records, we will program our product number to appear in your 946 tag subfield 'a.' You can then map this in your system to have our number replace the missing ISBN data where necessary (see image below). In order for us to receive branch quantity information in an electronic order from your Horizon system, you will need to check the ‘Vendor Enhanced Services’ box (see image below). In order for us to receive branch distribution information in an electronic order from your Innovative ILS, you will need to set the GIR code to the number 1 in your Vendor Setup Screen (see image below). If you are using 9xx order records, we will also program our product stock number to appear in your 961 tag subfield ‘h’ to assist in title identification. You would map this to your VEN NOTE field in your Innovative software. Customers using Polaris as their ILS typically have few or no issues when using EDI ordering. 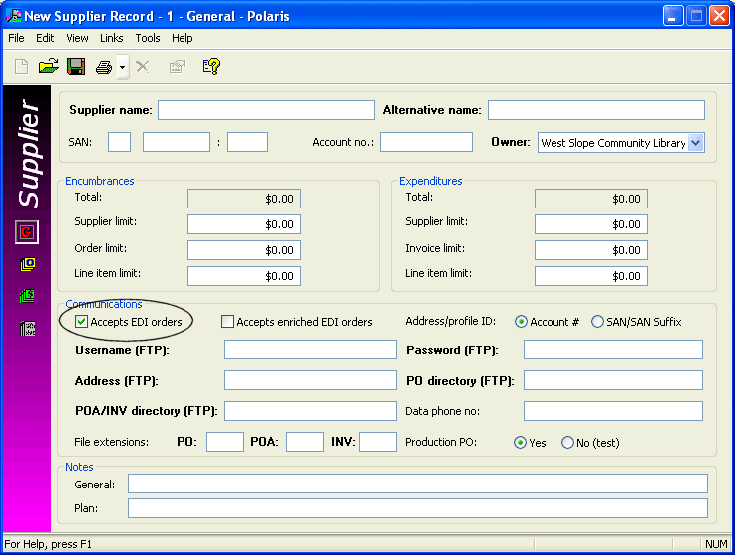 Simply check the “Accepts EDI Orders” box in your supplier record (see image below) and fill in the information we’ll supply to you. If you receive shelf-ready product or need your branch/location information to come through in your order, simply check the “Accepts Enriched EDI Orders” box as well.